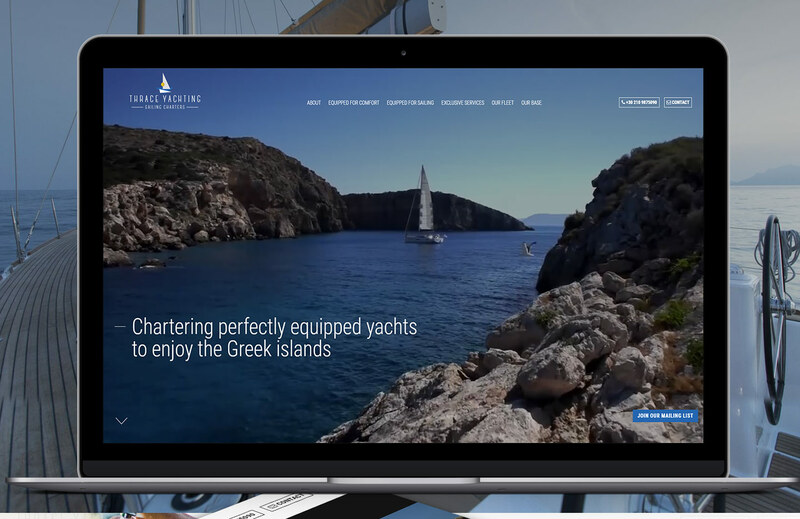 Thrace Yachting is a sailing yacht chartering company founded by sailing enthusiasts with decades of experience in what is key to truly enjoying the Greek islands on a sailing yacht. 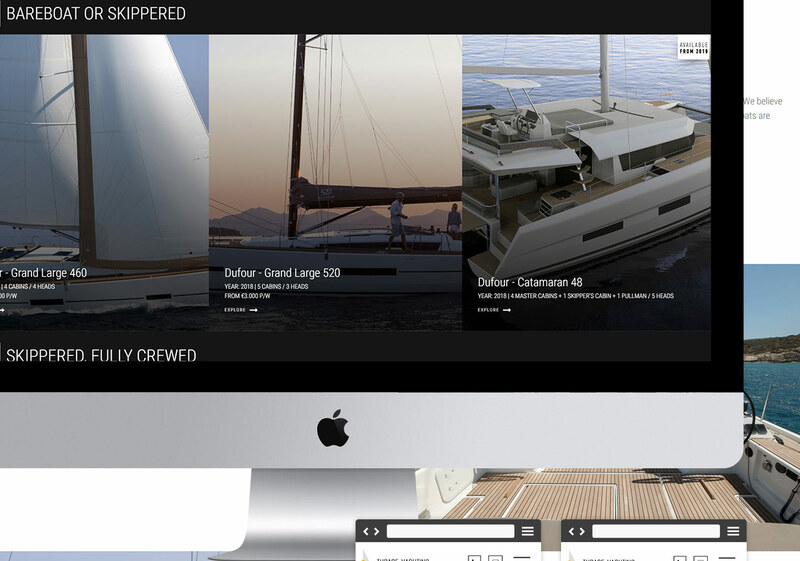 It fully owns a fleet of Dufour yachts and catamarans and focuses on providing high quality exclusive services and ensuring their fleet is always perfectly equipped for both comfort and performance. 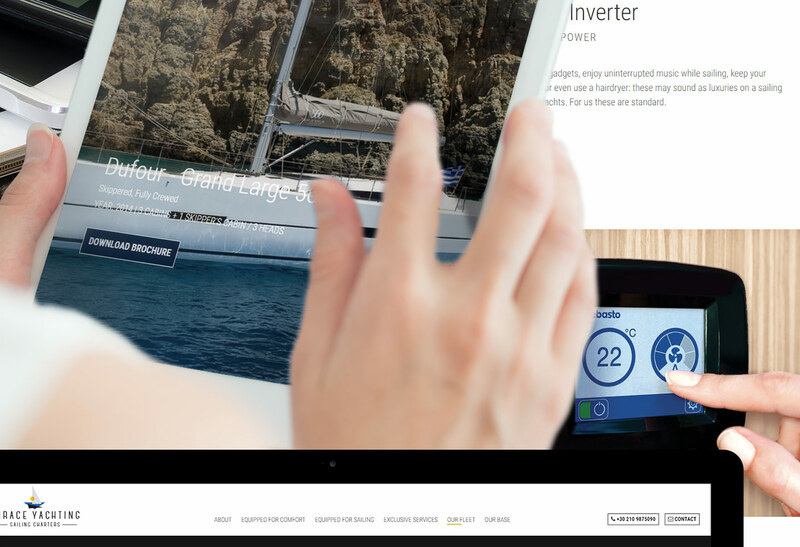 Thrace Yachting explained to us from the start that sailing to many people is a passion that comes with many compromises: rationing water and power, waiting in queues for supplies etc. 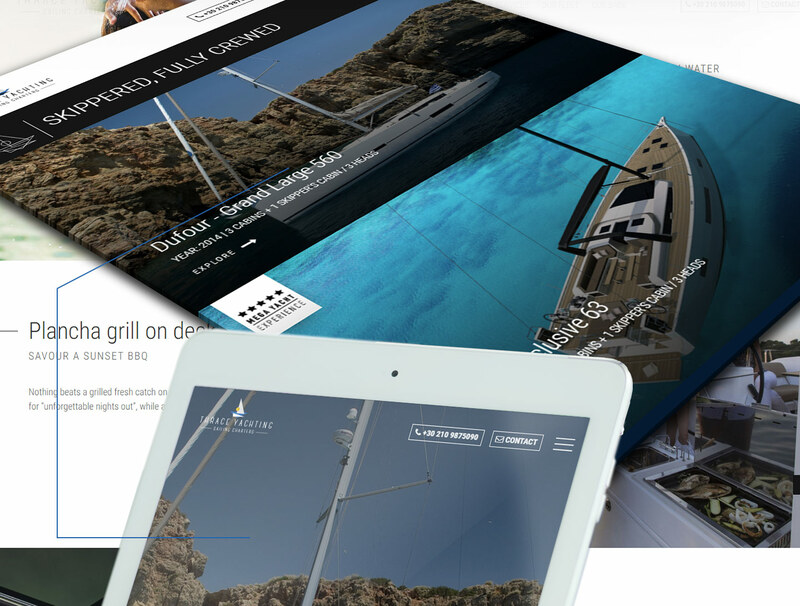 Their point was that there are solutions to enjoy absolute independence during a sailing holiday. Being sailing enthusiasts themselves, they had learned this by experience and not always in a good way. So the message we needed to put forward above all else was emphasising the importance of equipment and the crucial difference it can make when sailing the Greek islands. 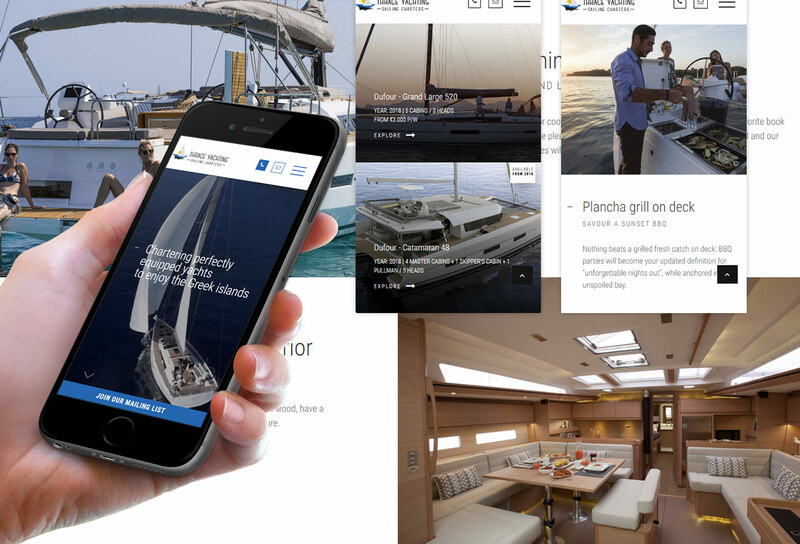 Primarily aimed towards agents, the website design reflects the premium quality of service and boats Thrace Yachting offers and at the same time clearly brings forward the key selling points that differentiates them from the competition and ensures a perfect sailing holiday.